The toad is part of the Disgusting critters Series. 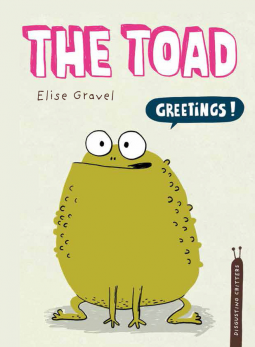 It is a non-fiction picture book about all you want to know about toads: how are they related to frogs, where they live and what they eat, the different kind of toads that exist, what are those bumps in their skin, tadpoles, and more. It also brings to the reader attention the fact that toads are useful for we human since they eat pests, and the fact that pollution is putting their existence at risk. This is the first book in the series we have read, and we really enjoyed it. It is not easy to find non-fiction picture books addressed to this age range, which are not boring or too difficult. In this case the text is accessible, with clear and concise facts shown in a funny way. The illustrations are a great accompaniment without distracting the attention from the text.